I've been feeling slightly ill this week, I don't think I'm coping with this cold weather - hurry up sunshine! For today's post I wanted to talk about W7 foundations, now I know I banished foundation for lent (an odd thing to give up...) but I was sent these gorgeous products and I really did notice the most important thing - it doesn't feel cakey! 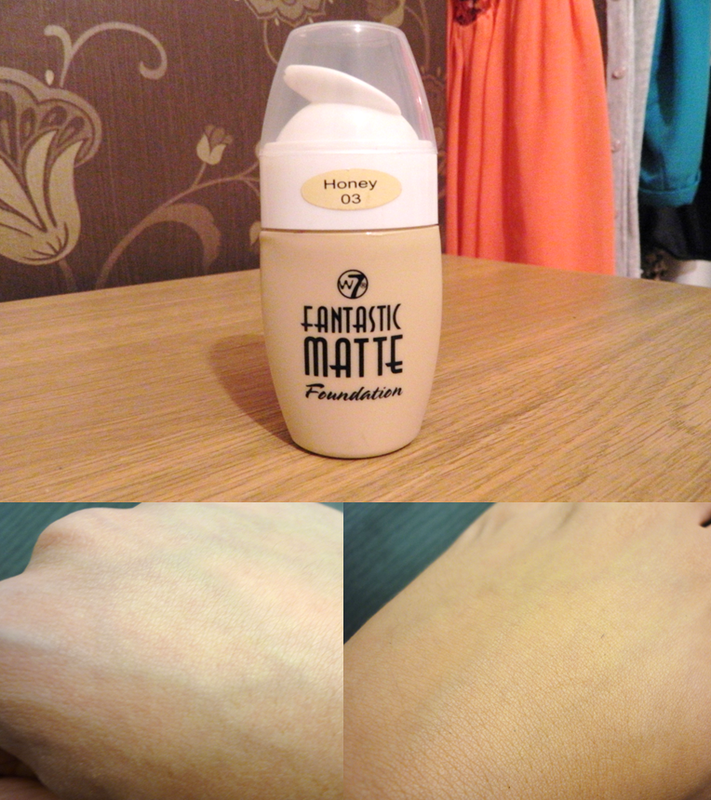 Fantastic Matte foundation is perfect for my skin type! I cannot stand foundations where it feels like a mask, I love thin liquid foundations that apply maximum coverage but don't leave a horrible thick layer. I usually prime my face with moisturiser and then apply foundation, but this foundation doesn't crease regardless! I think this foundation is perfect if you're sticking to a budget and want to use this nice as a quick and easy product you can pop in your bag for touch ups. Nope, they do a full range of products. I've do a review on their lipsticks too!